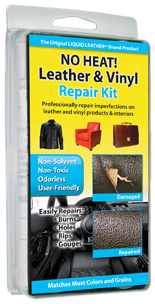 Invisible Repair Products, Inc. Vinyl and Leather Repair Kits; Automotive and Windshield Repair Kits; Flooring and Fabric Repair Kits are the elite consumer repair kits on the market. The Quick 20 and Liquid Leather brand is continuously expanding and has current repair solutions for: Leather Repair,Windshield Repair,Vinyl Repair,Fabric Repair, Upholstery Restoration , Vinyl Flooring Repair, and Wood Repair. 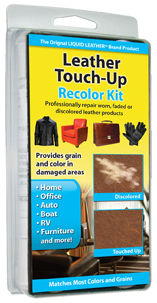 Invisible Repair Products, Inc. is your single source for all your home do-it-yourself repair needs, offering leather repair kits, plastic, vinyl, fabric, windshield, wood and bumper repair kits. Every repair kit comes with complete, easy-to-follow instructions to guide you to the best DIY repair possible. Buy Smart: Buy from a reliable source. Invisible Repair Products, Inc is committed to help you complete a successful repair. We are your direct source since we are the manufacturer. We will ensure quality, reliability, and superior customer service. Call, Fax or Email! Made in Akron, Ohio, U.S.A.